Before visiting Pennsylvania, my limited knowledge of the Amish was based on a single viewing of Witness, the movie where Harrison Ford goes into hiding in an Amish community to protect a young murder witness. I knew they dressed in quaint, old-fashioned clothes and used horse-drawn buggies to get around but I assumed they were a dwindling community numbering in the hundreds. 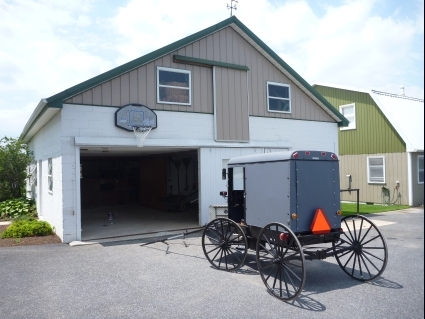 In fact, the number of Amish in North America is estimated to be about 250,000. And far from dwindling, it’s one of the world’s fastest growing populations, with an average birth-rate of 6.8 children per family.